Bombshell Games is showing off the cover for their upcoming sci-fi minis book, Rogue PLanet. 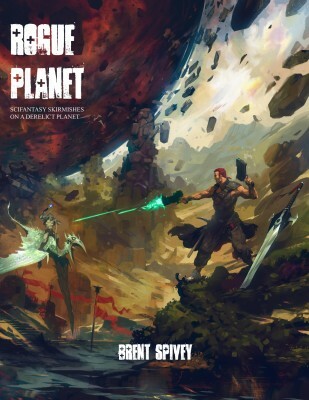 I thought that I would give everyone a sneak peek of the cover for my soon-to-be released sci-fantasy skirmish game ROGUE PLANET. The final edits are being finished up as I type this. So get your plasma blasters, powered fists, and over-sized great swords ready for action and, let the observations, speculations, and questions commence!